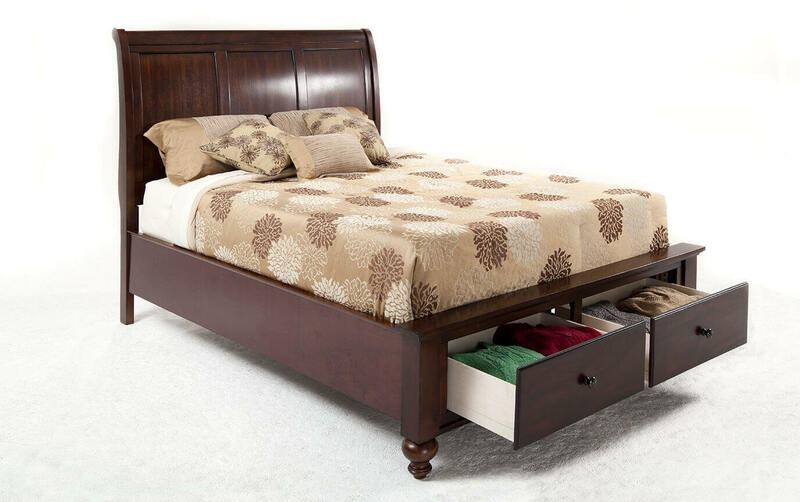 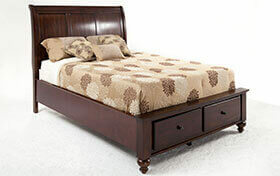 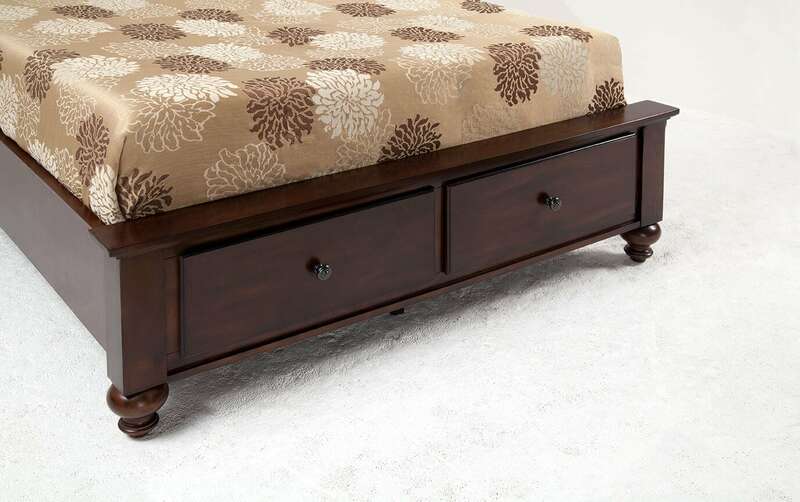 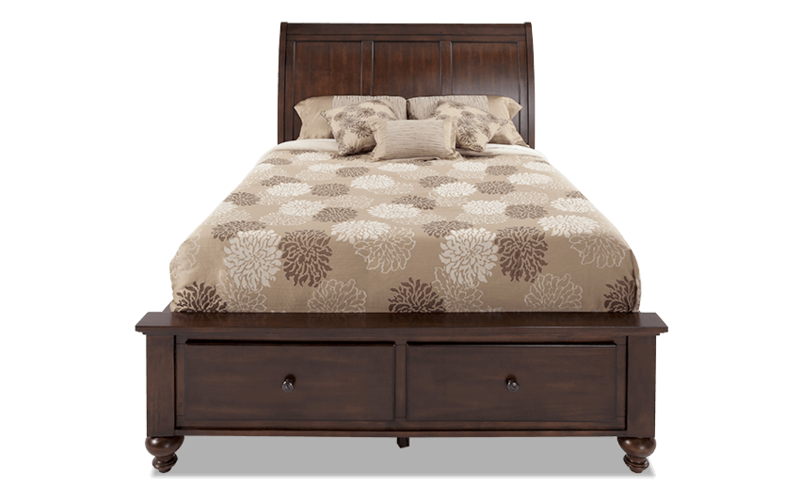 Stylish bed with storage with a rich chestnut finish. 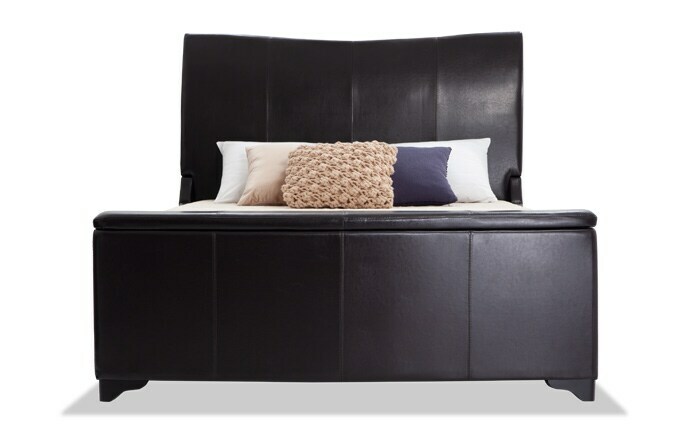 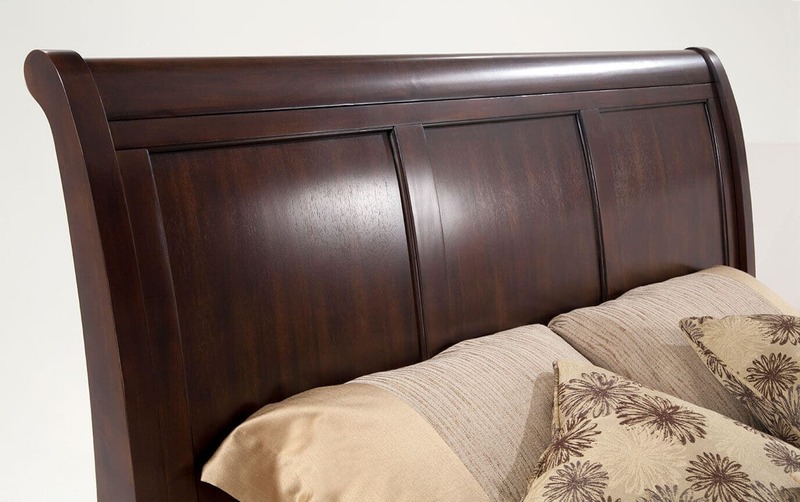 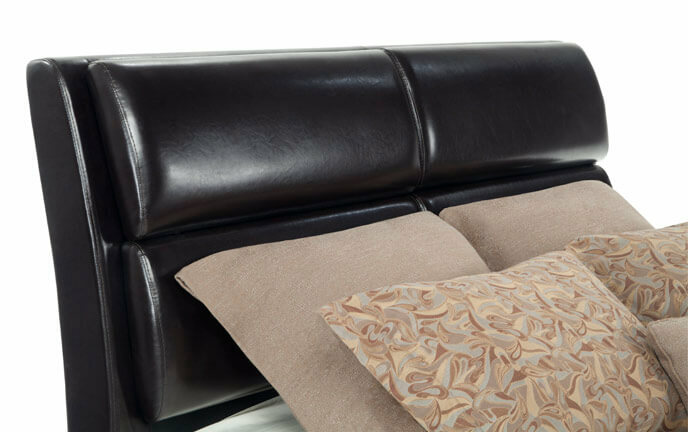 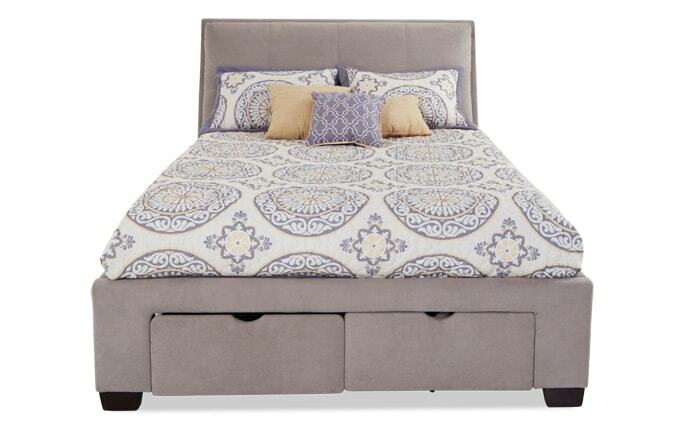 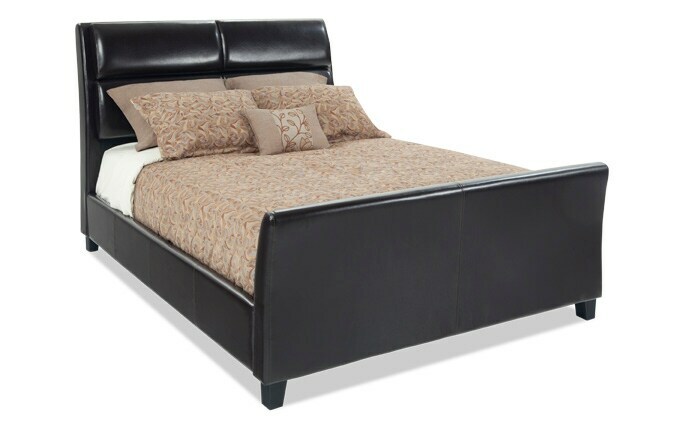 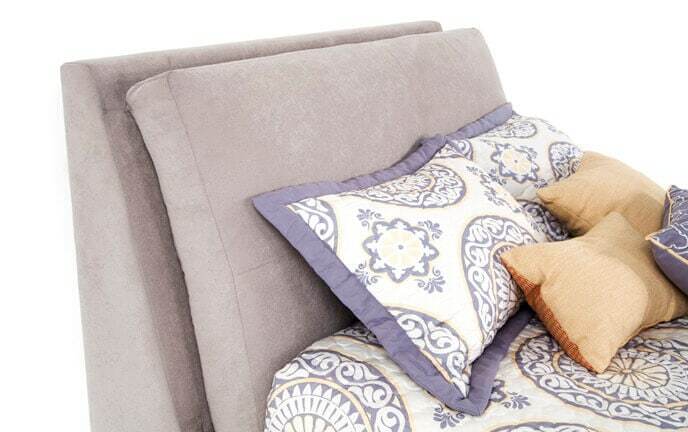 My Chatham Bed has everything you have been looking for, all wrapped into one! The rich chestnut finish has light distressing and the brass hardware adds the perfect touch! 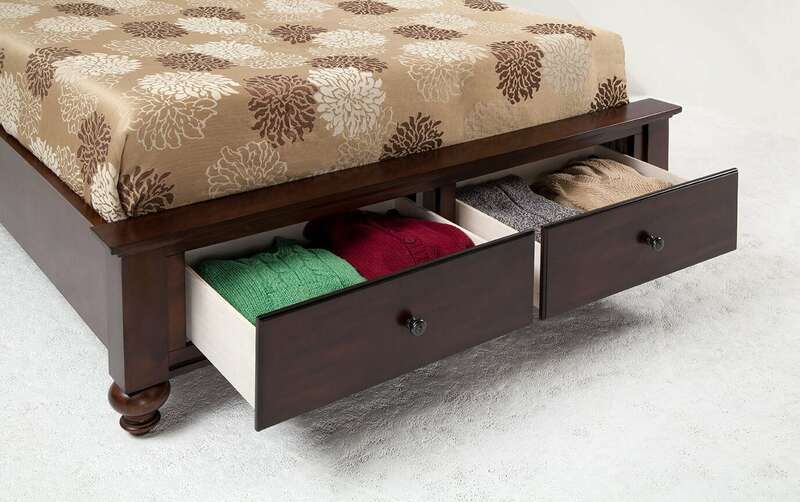 Don't forget about the convenience of the two storage drawers in the footboard for most sizes, and one storage drawer in the twin. 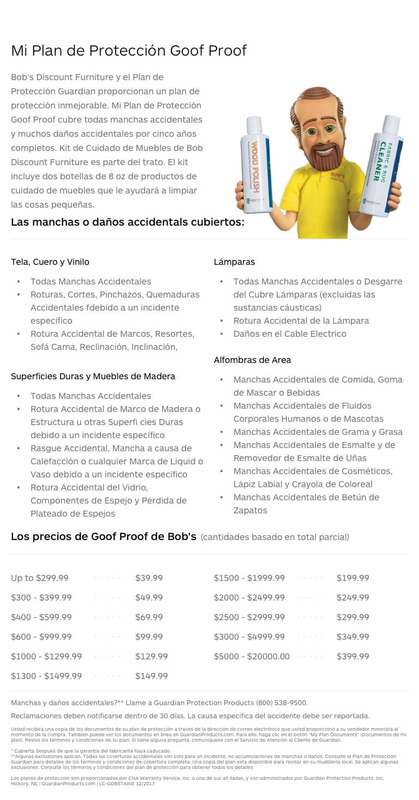 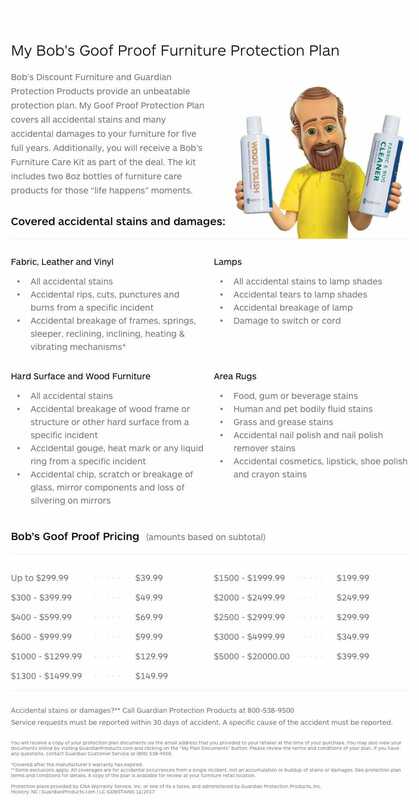 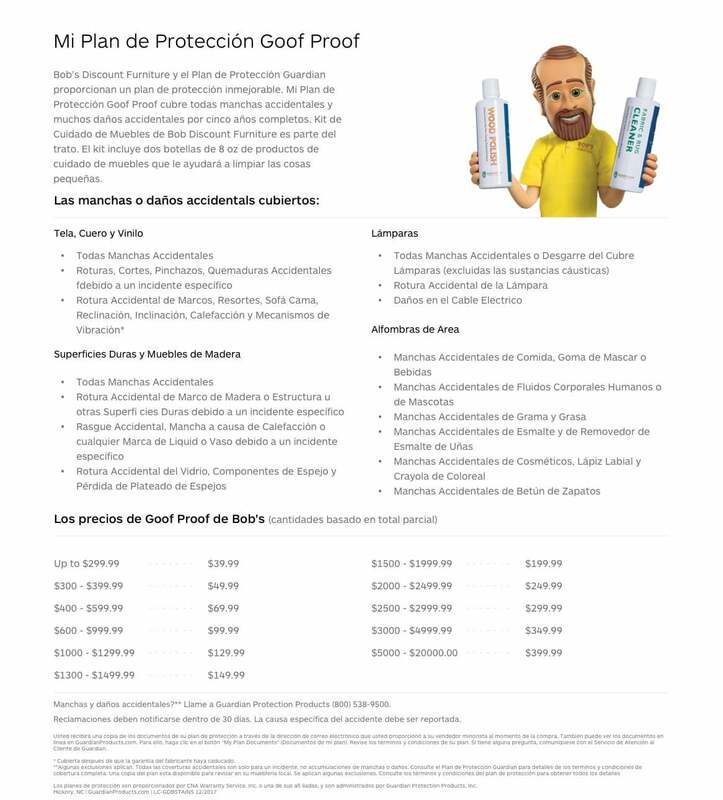 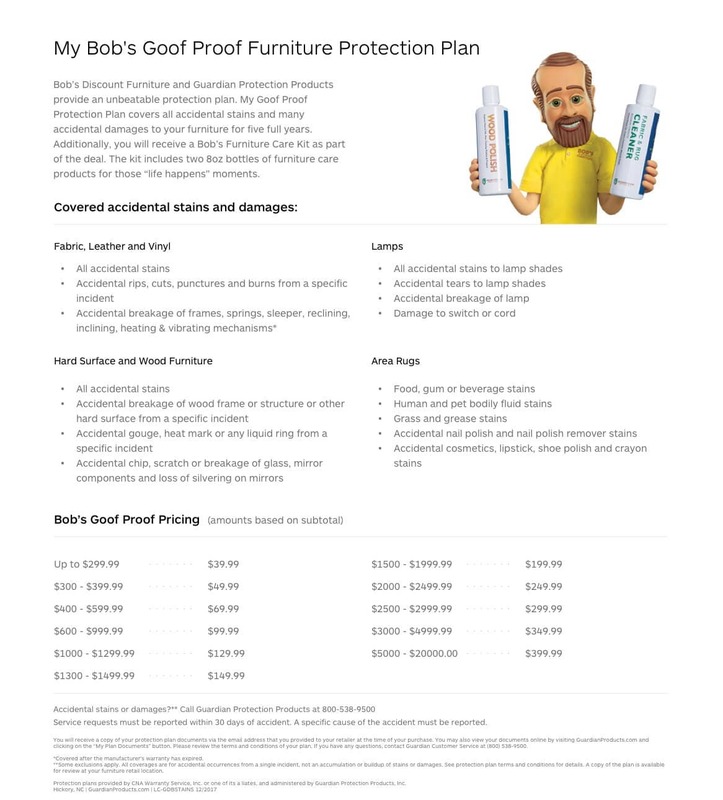 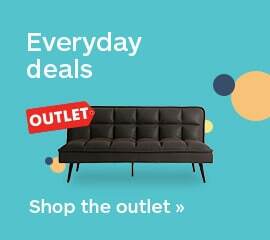 Get the look you want and storage you need for a price you deserve, only at my Bob's!